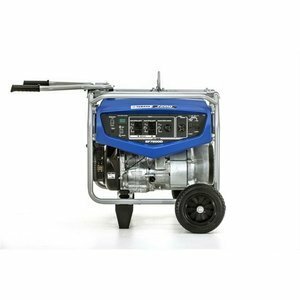 The Yamaha EF7200DE 7200 Watt Generator with Electric Start comes with an electric starter and auto choke for effortless push button starting. 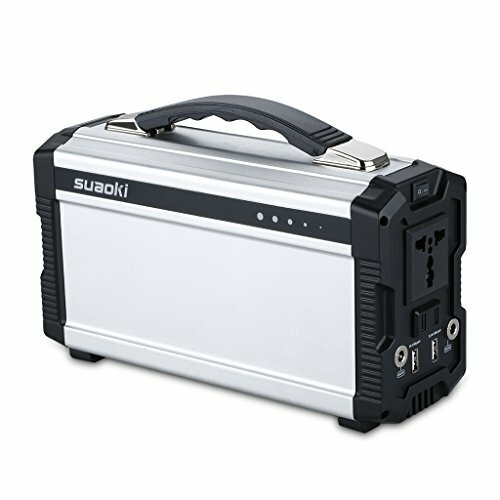 It comes with wheels, fold-down/locking handles and battery. 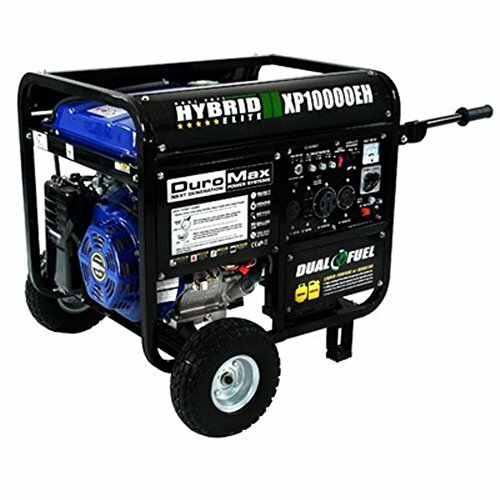 It has an 8 hour run time at full load, which is 18% longer than the previous model. The digital hour meter and digital volt meter display the total run time accumulation for servicing and indicates the voltage output. 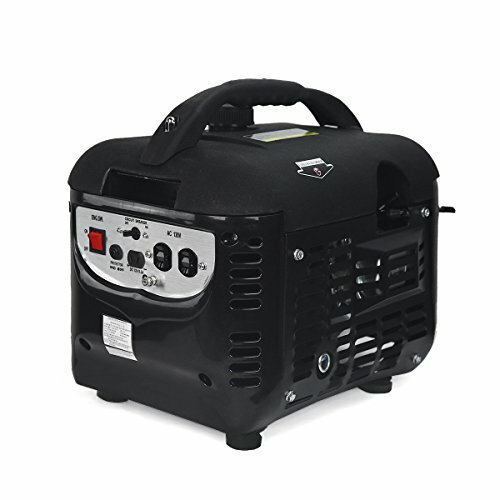 This generator comes with a 3 year industrial and residential warranty with an optional YES for customer peace of mind. For convenient hoisting and security, it has a lifting eye. 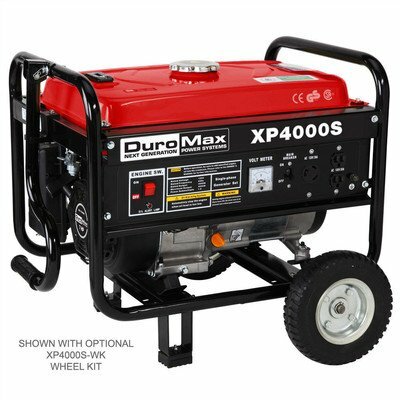 For improved efficiency, increased reliability and quieter operation, it has an OHV engine. 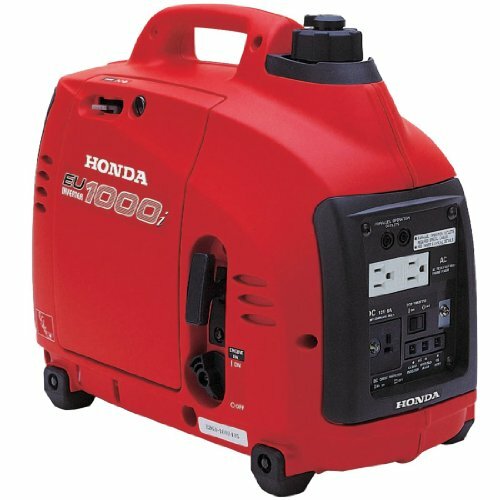 The EF7200DE is great for the job site or home backup because it features full power, full time 120/240 dual voltage. 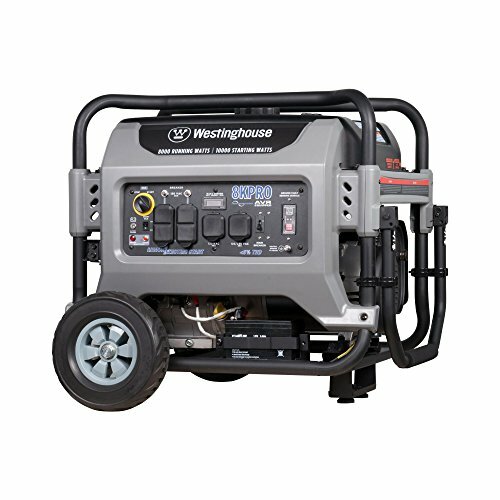 The ground fault circuit interruption senses any leak to the ground to reduce risk of electric shock. The fuel gauge makes it easy to monitor the fuel level. 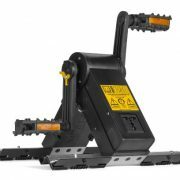 It has full roll cage protection for heavy jobs.